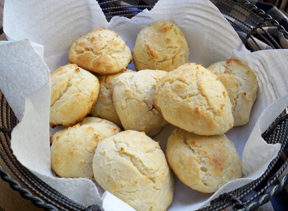 A quick-to-make biscuit for those times when you need just a little extra to go with your meal. Mix together flour, baking powder, sugar, cream of tartar, and salt in large bowl. Add shortening, cut in with pastry blender. Mix in milk, knead gently. 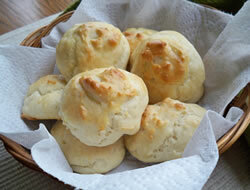 Drop by spoonfuls on greased cookie sheet or roll out on floured surface and cut out biscuits with cookie cutter. Bake 450 degrees F. for 10-12 minutes. 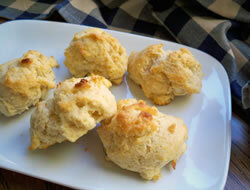 "This was an easy biscuit to throw together at the last minute. 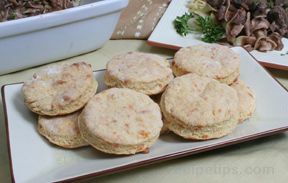 We often like to have some type of bread with our meal and this biscuit would go well with most any meal, especially if you had gravy to dunk it in!"